People sitting in the grass of the Utrecht “Paardenveld” at a location that used to be an enormous intersection at the end of a motorway less than a decade ago. When I tweeted two pictures showing that huge contrast, it became my most seen tweet so far, with 364,537 views in the first week alone, well over one view for every Utrecht resident! Most people reacted positively amazed, but there were two locals claiming the pictures were not taken from the same position (which is false) and that the road was not at all gone (which is indeed true, but I never wrote it was completely gone). One of them called the pictures misleading, the other even called this “fake news” and “propaganda”. That, in turn, amazed me. How can you misunderstand these pictures so terribly, or forget so quickly? I don’t believe I will convince people like that whatever I show them, but it did give me the inspiration to explain those pictures in a blog post. Fortunately, this blog is nearing its ten-year anniversary. 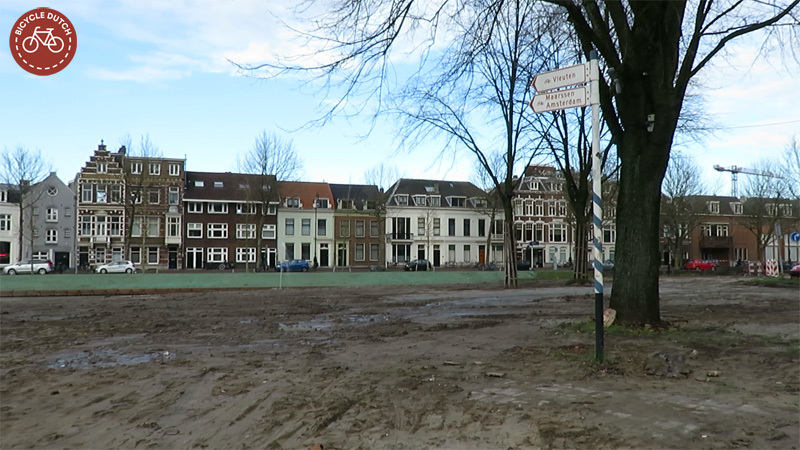 I have filmed the situation on Paardenveld in Utrecht every now and then from 2009 on. That means I can give you moving before-and-after images of this stunning urban transformation (video at the end of this post). I think you’ll agree that there’s nothing fake about it! People enjoying a sunny day in May 2018. Until at least 2011 this very spot was the location of a gigantic intersection. The structure based on some old shipping containers is a -temporary- restaurant, with an outside café in front of it. This Swedish glacier rock weighs 1,150kgs. It has the name Park Paardenveld cut into it. There still is a road alongside the new city moat. 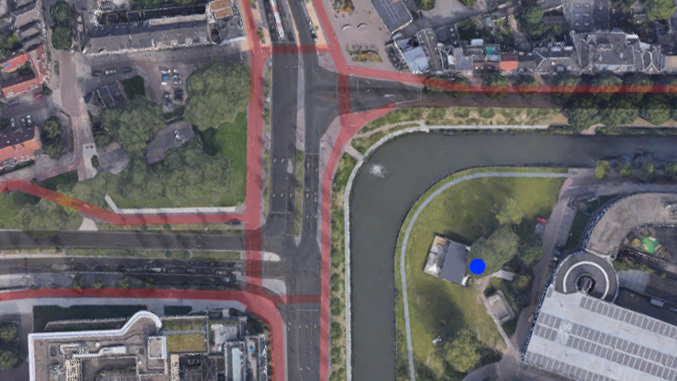 But it is much smaller than it used to be and it has great cycling infrastructure running parallel to it. More reclaimed space. From the early 1970s to about 2012 this primary school was on a service street next to the main road. Now it is on a cycleway that is much further from the entrance. Children can run out of that front entrance in a much safer way. The current school building dates from 1990, it replaced a much older building, that you can see in the aerial picture of 1985. These trees were planted in the early 1970s in the then central reservation. They have become tall and with half of the road gone residents named this place “Daalsepark”. They would really like to keep this green the way it is, but the city of Utrecht had plans to get rid of the trees and use this expensive plot of land for dwellings. The future is still uncertain. 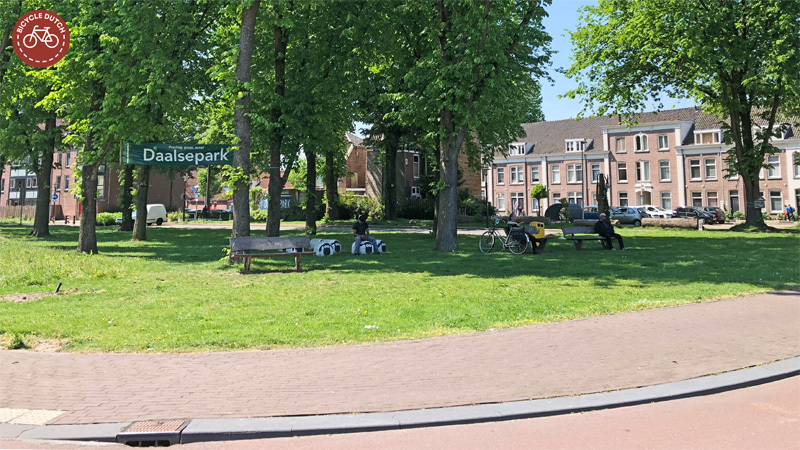 Paardenveld means “horses field” and it took its name from the horse market that was briefly moved to this north-west corner of the city in the sixteenth century. The horse market returned to its former location in 1580, but the name stuck, and the field was later used for a goods and produce market, which was held here until 1968. That year, the market had to make way for the huge urban intersection at the end of the motorway that was planned where the city moat was located. 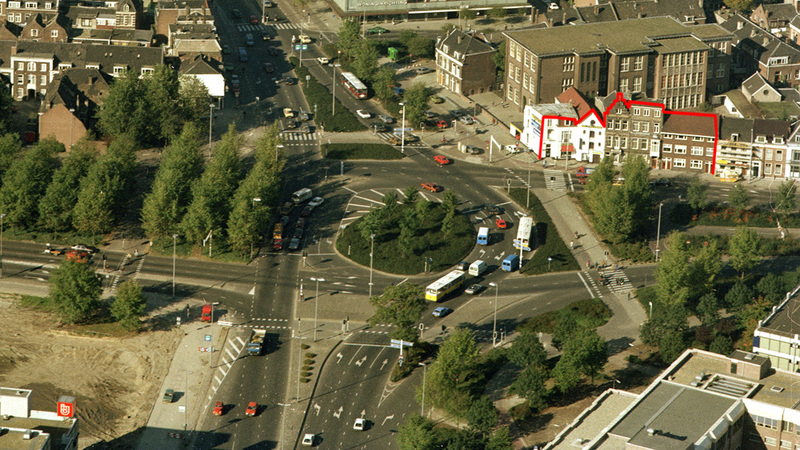 The intersection existed from about 1970 to 2012. At one location there were 9 traffic lanes next to each other. In general the traffic lanes were divided by huge central reservations that got a lot of trees. Since most were planted in the early 1970s they had grown to become considerable trees on a lot of grass. But although the area was very green, nobody in their right mind would sit right next to multiple lanes of fast-moving motor traffic. Paardenveld in 2018. The water came back late 2015. In the almost two and a half years since, the newly planted trees have really grown. The trees at the canal side to the left were all planted late 2015. Note how much further away that row of houses is again from the road straight ahead. 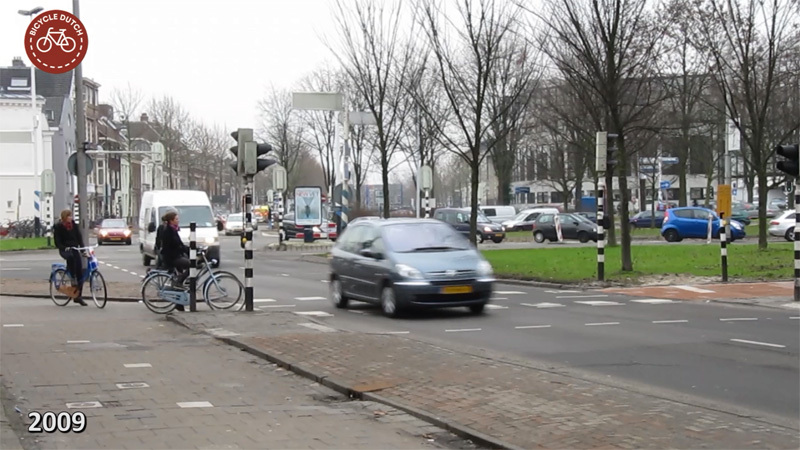 Utrecht has decided to dedicate less space to the car. 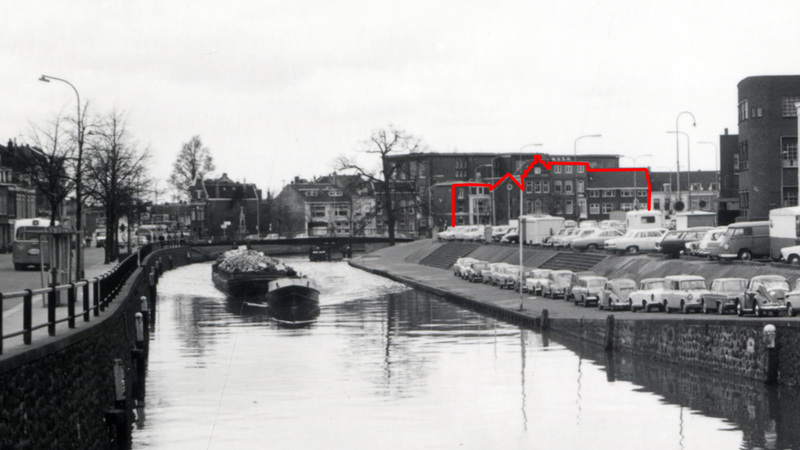 I have shown you different examples, such as the inner ring road at ʼt Goylaan and a former through road at Tolsteegsingel/Maliesingel. This project is completely in line with these policies, but it started a lot earlier. The works to remove the motorway and recreate the disappeared city moat started in 2009 and in 2012 at this location. By December 2015, the motorway had been demolished and the water had returned. I already showed you that transformation in the first blog post of 2016, but in my new video I focus on this particular location. The street pattern at this location returned to how it was before 1968, so yes, there still is a road next to the new water. The new street has only one lane in each direction. 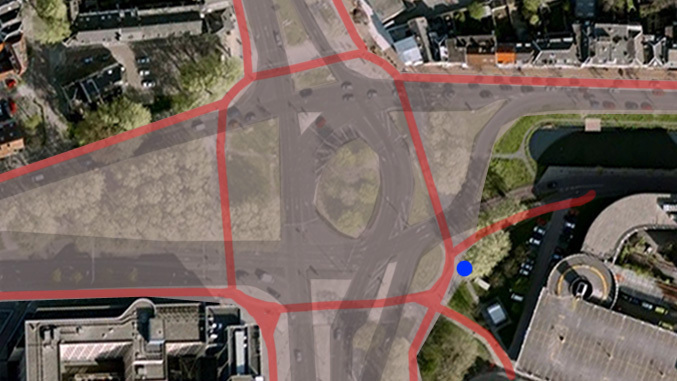 Two much smaller T-junctions came in the place of the one huge intersection. At the T-junctions the one travel lane gets (mostly) two added turning lanes. At one location the opposite direction even has 2 travel lanes, making five lanes in total. Interestingly enough, those exact same 5 lanes were formerly used for just one direction, so even there, the total number of lanes decreased considerably. Late 2015 a directions sign for cycling was left, forgotten, at its original location. I marked this location on the previous two pictures with a blue dot. Which means the back of the restaurant is placed where the outer edge of the cycleway used to be. The front is on the edge of the former carriageway. This sign has since been removed, which is probably best, because it now pointed people directly into the new canal. In the 1970s, of all the new trees, some had been planted in the location of the former and current water way. Obviously those trees had to be removed again. A lot of new but mature trees were planted to make up for these lost ones. Some trees were even relocated from other places in the city. In March 2017, three very large trees came from elsewhere in Utrecht. These 18-metre-tall lime trees had to make way for the new light-rail line to the University Campus and were fortunately fit for a relocation. The three trees weighed 12 metric tons each and they were transported by truck, horizontally. The lime trees got company in December 2017, when 5 dawn redwood trees came from yet another location in Utrecht. This transformed the blank canvas of early 2016 into a real city park. 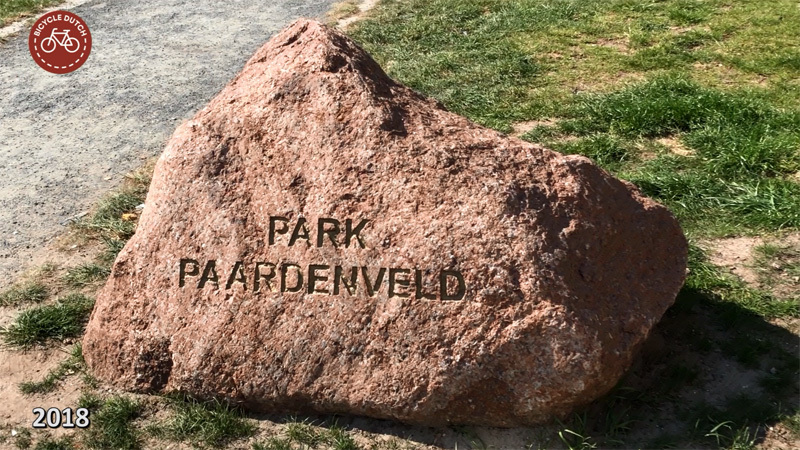 A rock from a Swedish glacier with the name “Park Paardenveld” had been unveiled on 31 March 2017, by the alderman for the reconstruction of the Utrecht Station area. That same day the fountain in the water was also switched on for the first time. Residents had asked for the fountain because they liked the temporary fountains for the opening festivities in December 2015 so much. Since April 2017, Park Paardenveld also has a much-loved –temporary– restaurant with an outside café in a reused standard shipping container. Before: 2011. The cars drove close to the position from which I took this picture. After: 2018 On this picture taken from almost the same location, the cars are far away in the distance. Especially the water makes them appear even more distant. At this location, in the north-west corner, the road went straight-on (direction west) in the past. Since this has become a T-junction, motor traffic wanting to drive west needs to go south first and then, about 60 metres south, it can travel west after all. The former central reservation has become Daalsepark. 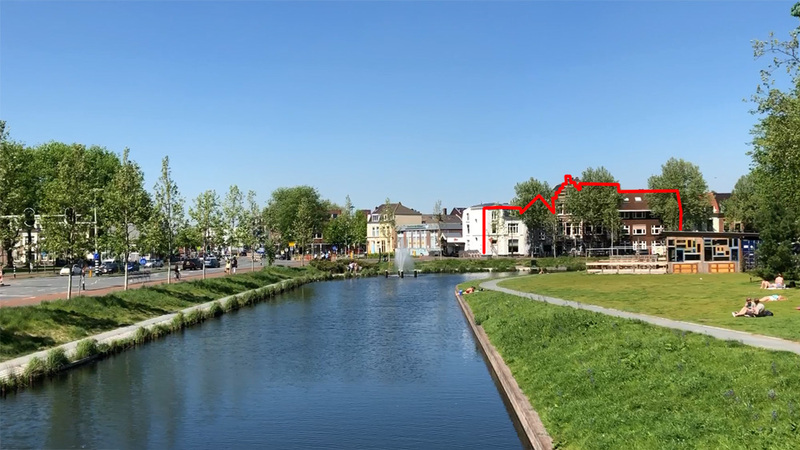 My video explaining the transformation of the Utrecht Paardenveld. 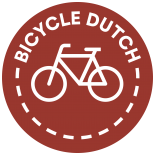 My video with two bike rides, traversing Paardenveld in 2009 and 2018, side by side. That CLEARLY couldn’t work in America. The problem here is if you got rid of the parking and central reservation, you couldn’t just fit a park, you’d have to build an entire new city! It may be just psychological but in the comparison of the two videos the 2018 one looks brighter and the 2009 looks grey. Perhaps it isn’t just the sunshine and has more to do with the red asphalt and the close proximity of vegetation? Great response to the “fake news” tweeter and really amazing before-and-after videos and photos to really drive the point home! Well done Utrecht, can’t wait to visit again soon. I have a funny connection to this intersection. 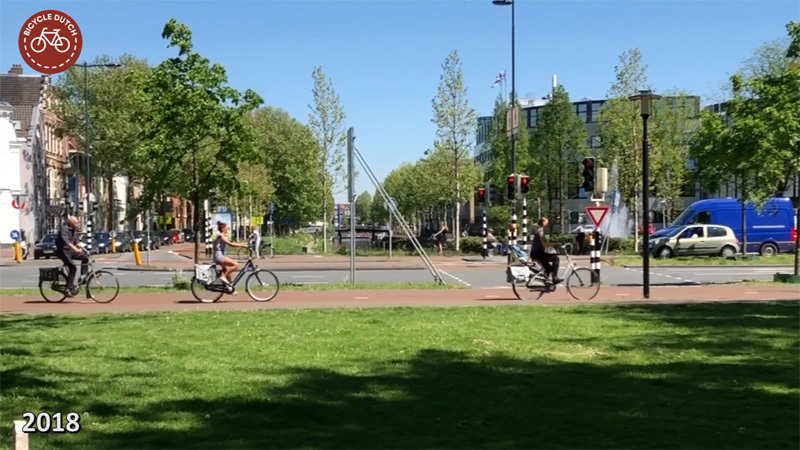 I lived in Utrecht for most of the 1990’s and cycled through that junction all the time as I lived further down the Amsterdamsestraatweg. 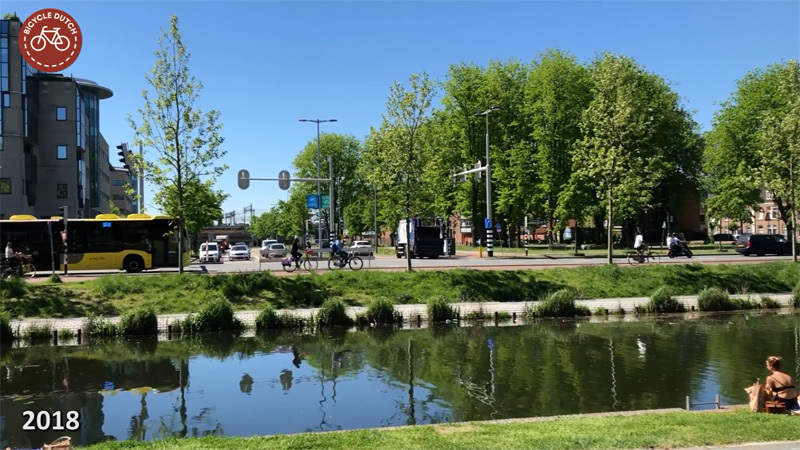 Then I spent 14 years back in the UK before deciding to move back to to Utrecht as for many reasons Utrecht felt more like home than my country of birth, the UK. One big reason was cycling, well, mobility and freedom of movement by bike, both for myself and my kids. It was a freedom not given to me in the UK, but in Utrecht is was, and is, just the way it is. This junction though, it took about 18 months from deciding to move back early in 2012 to actually moving in the summer of 2014 and for some reason, this junction was “Utrecht” for me in my mind’s eye. Whenever I thought about moving, I was on this junction. It straddles the inner old city and the rest to the north and west, like the Strand, or Hyde Park corner. i was a .1%er in London who would ride Hyde Park Corner like a dolphin does the bow wave of a ship. That was before I had kids. 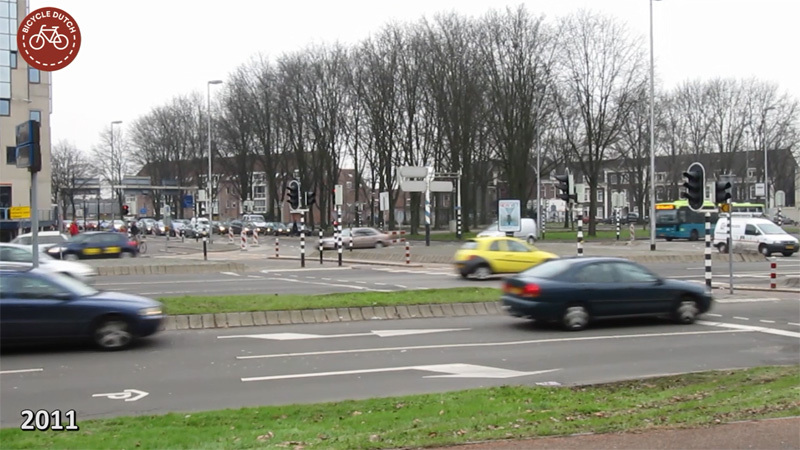 But this junction in Utrecht is not an extreme sport, it’s safe for the whole 100%. I agree that it’s way better now than it’s been in decades, since the whole motorway came in the first place, but it’s never been a dangerous place to cycle, sometimes it would mean waiting a while at the lights and you can see from your film, it’s much much greener. My favourite bit is the concrete sheep, ironically. It should be used as a “look at this junction, take note”. 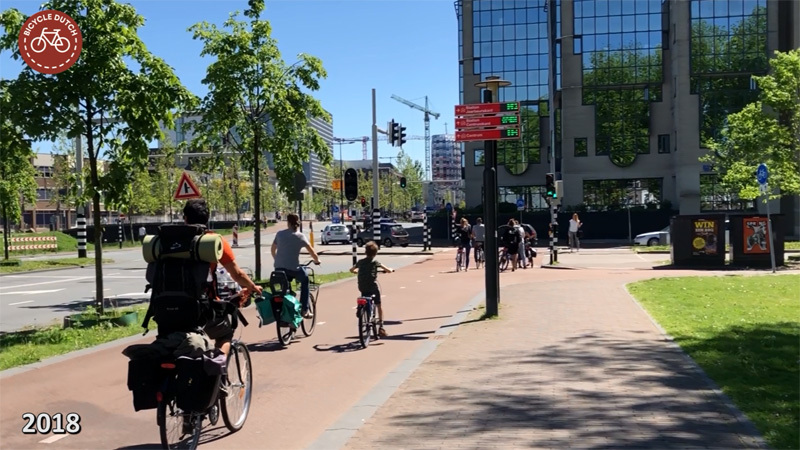 It does go to show that you can achieve both the holy traffic flow and not need to dedicate as much space, and have really wide, smooth, generous, cycle paths, AND make it really green and even park like. This intersection and adjoining roads has measured some of the the highest pollution levels in the city and I know that it’s been closely studied as they find ways to divert more away from the bottleneck and encourage alternatives to a stinking car spewing fumes – there are many, and people are willing, it’s the relentless pushing of cars that still never stops – listen to the radio, go the the cinema, watch telly in NL, every other advert is for cars, even if a lot of them are dutchified and have bikes featured too. I hope that this junction continues to serve both the city and the world in general as a kind of petrie dish of what’s possible, along with all the other amazing changes coming. I look forward to seeing a lot less in the way of building site in the coming years. There’s a way to go yet though. Thankfully most of the temporary cycling provision is still way better than pretty much anything I experienced in the UK, especially when it comes to continuity. No provision should end in an End of cycle lane sign. Heh, snap. Grew up here in the 1990s, went ‘home’ to UK and started to hate it,, could never feel settled in the UK, so came back to Utrecht 3 years ago, early 2015. I walked passed that very area this morning to test the camera on my new phone, took some snaps of the fountain (it picked up the rainbow from the spray = good camera says I). 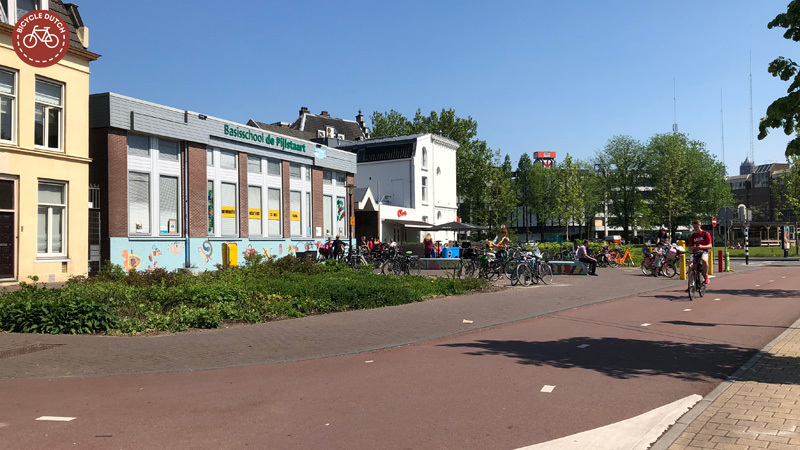 This entry was posted on 15 May 2018 by Bicycle Dutch in Original posts and tagged before and after, urban design, Utrecht.